Here’s what Jimi Hendrix and (almost) every other performer got for their performance at the original Woodstock festival. 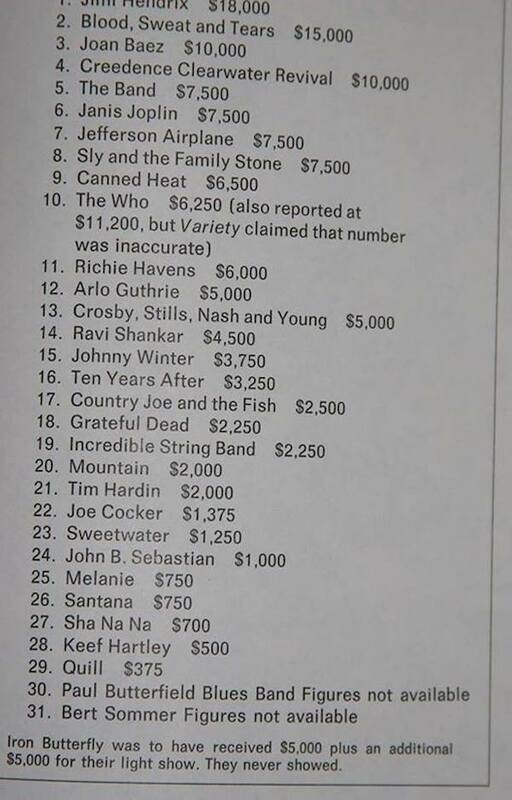 This chart by UltimateGuitar.com lists the fees for every act with the exception of Bert Sommer and the Paul Butterfield Blues Band. See what they would get in today’s money below the image.